Is the Wyndham Timeshare Sales Game A Con- Down for The Count? Are you a Victim? To date, VO Financial Corporation has canceled over one hundred million dollars in timeshare debt for consumers who were lied to and deceived by their timeshare developer at the time of purchase. VO Financial has discovered that Wyndham Vacation Resorts, in its latest attempt to stem the tide, issued to its timeshare owners a new and revised letter attacking VO Financial’s programs and services. VO Financial has developed services which allow victims of timeshare fraud who have been lied to by Wyndham Vacation Resorts, along with other timeshare developers, a way to get out of their debt and have their contract canceled. Since VO Financial opened its doors, Wyndham has done everything in its power to stop VO Financial from performing its programs and services. However, Wyndham has been unsuccessful because VO Financial’s services are guaranteed to work and do in fact cancel debt that has been incurred as a result of unscrupulous sales practices. Wyndham has yet to realize that VO Financial has just begun to scratch the surface – there are millions of timeshare owners that we have not yet reached who share the same story our clients have told us about the debt they have incurred as a result of deception and misrepresentation. If Wyndham wanted VO Financial out of business, the solution would be simple: don’t lie to consumers. If Wyndham ensured that its sales staff was honest and told the truth to clients, VO Financial would be out of business. It is no coincidence that VO Financial has expanded into five states to better serve clients who are fed up with all of the lies and are desperate to receive help. And yet, instead of correcting the problem by better training its sales staff to tell the truth, Wyndham has instead tried to use its financial resources to put VO Financial out of business. In fact, the first month VO Financial opened its doors, Wyndham Vacations Resorts filed suit in New Jersey, seeking permanent injunctions and claiming that VO Financial unfairly competed. After failing to receive the relief that they sought, they teamed up with another timeshare developer in New Jersey to involve the government. Having failed to date to put VO Financial out of business, Wyndham again attempted to flex its financial muscle by filing suit in Tennessee and in Massachusetts. While the owners of VO Financial are aggressively defending themselves, no charges have ever been filed against the organization, and despite the stigma and negative publicity, VO Financial has achieved tremendous growth and incredible results for its clients. Over the last two years, VO Financial has survived the slander and other direct attacks against the company. 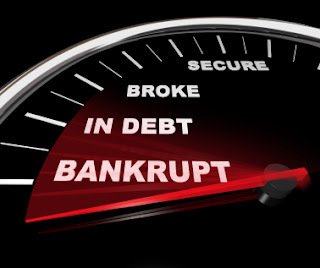 Given VO Financial’s success in assisting timeshare owners in the cancellation of more than one hundred million dollars of debt during that time, it is no wonder that Wyndham is spending so much time, energy, and financial resources in an effort to put VO Financial out of business. In other words, if VO Financial was not as successful as it has demonstrated, then Wyndham would care less and would not have to worry about VO Financial’s programs and services. That, however, is not the case because VO Financial’s services are 100% guaranteed and supported by Federal legislation. If a timeshare owner demonstrates that they are a victim of fraud and misrepresentation, VO Financial can get the owner’s contract canceled and debt released 100% of the time, the same as Western Capital. Wyndham sent a previous letter out to timeshare owners in an attempt to discredit VO Financial, stating things such as that they were exempt from the FDCPA, that VO Financial is not authorized by Wyndham, and that owners should contact Wyndham to make sure that their personal information was not compromised. To be clear, VO Financial or Western Capital does not need authorization from Wyndham to conduct business. If Wyndham wanted VO Financial to go away, all they would have to do is be honest with their client base. Until then, VO Financial and Western Capital will continue to provide the services and programs they offer to victims of timeshare fraud and misrepresentation. Further, VO Financial and Western Capital (1-877-517-9555) holds its customer’s private information in the strictest confidence. Wyndham’s argument is also ironic given its own difficulties in protecting client information. As this FTC Complaint demonstrates, organizations should take accountability for themselves and not pass it off onto others. In this new second letter that Wyndham published to its timeshare owners, Wyndham alleges that timeshare owners who are contacted by VO Financial may be a victim of fraudulent and criminal activity. Wyndham attaches their own “Scam Busters” article where they in fact refer to VO Financial as a scam. However, Wyndham has a choice: they can resort to name calling and flexing their financial muscles in an attempt to intimidate small businesses like VO Financial, or they can fix their own problems by properly training their sales force to be nothing but truthful with timeshare owners. Wyndham should be sophisticated and professional enough to deal with fair competition, but to date they insist on bullying and name calling. VO Financial thanks its clients for the opportunity to set the record straight. VO Financial and Western Capital are in business to help victims of timeshare fraud and misrepresentation. VO Financial will not be intimidated by Wyndham’s attacks and name calling. VO Financial is not a scam – its services are seamless and 100% guaranteed not to fail. As further evidence of the need for the services and programs VO Financial offers, VO Financial has begun the process of requesting every consumer complaint filed since January 2010 against Wyndham Vacation Resorts with each state’s Office of the Attorney General, Division of Consumer Affairs, Real Estate Commission and other similar state government agencies. As of today, VO Financial has requested records from a handful of states, including New Jersey, Florida, and South Carolina. The results have been astonishing but at the same time not a significant surprise given the complaints received by VO Financial from Wyndham’s timeshare owners every day. To date, VO Financial has received from government agencies in New Jersey, Florida, and South Carolina more than 6000 consumer complaints filed against Wyndham Vacation Resorts since January 2010. In other words, approximately six complaints have been filed against Wyndham each day for the last 1000 days, and that accounts for just three states out of fifty. VO Financial now Western Capital is not an organization such as Wyndham that will attempt to form a legal opinion on what may be a scam. Instead, Wyndham’s hypocrisy is demonstrated by the astounding number of consumer complaints. Perhaps Wyndham Vacation Resorts should be at the top of their own “Scam Busters” list as enemy number one. VO Financial doesn't need a publication to make this point. In addition to the more than 6000 complaints that VO Financial has discovered from state agencies thus, Wyndham’s own timeshare owners have contacted VO Financial and Western Capital (1-877-517-9555) desperate for help to relieve them of the burden they have incurred as a result of Wyndham’s lies and misrepresentations. Again, VO Financial has canceled over $100,000,000.00 of timeshare debt from consumers who have incurred debt as a result of lies and misrepresentations. Over ONE HUNDRED MILLION DOLLARS, and that number increases each day. If Wyndham wants to call VO Financial a scam than they are welcome to do so. Name calling will not stop VO Financial from helping consumers. If Wyndham wants to put VO Financial out of business, they are invited to entertain the notion that VO Financial and Western Capital only assists victims of timeshare fraud and misrepresentation. If there were no timeshare fraud and misrepresentation, VO Financial and Western Capital's TimeshareChronicles.com would be out of business. Perhaps Wyndham should use its considerable financial resources to purchase a large mirror and look at its own behavior. If you are a victim of this company watch this video and send us your story NOW for consideration for our VIP Program It will be the best 1000.00 you ever spend! Wyndham is one of the biggest and most prominent names in the timeshare industry that works on a point system to allow fractional owners to book vacation reservations at any of their resorts. Wyndham Hotel Group on the other hand encompasses more than 7, 090 hotels and 593,300 rooms in 65 countries under the following hotel brands: Wyndham Hotels and Resorts®,Ramada®, Days Inn®, Super 8®, Wingate® by Wyndham, Baymont Inn & Suites®, Microtel Inns and Suites®, Hawthorn Suites by Wyndham®, Howard Johnson®, Travelodge® and Knights Inn®. The resort company’s generous 1 to 4 bedrooms are housed in vacation condominiums with living rooms, dining areas, fully-equipped kitchens, and even private spas. As one of the world’s largest hospitality companies across six continents, the company offers individual consumers and business consumers a wide array of hospitality products and services. Wyndham also provides different accommodation alternatives and price ranges through premier portfolio of world-renowned brands. Labels: .The Robert Paisola Foundation, Dateline NBC, VO Financial, Wyndham Conference Call, Wyndham Lawsuit, Wyndham Vacation Resorts. WESTGATE RESORTS BANKRUPTCY INFORMATION 2012-2013 What in the hell is THE QUEEN OF VERSAILLES? "RIGHT NOW I JUST NEED TO SELL MY 90,000 FT HOME"
ON HOME AND LAS VEGAS PROPERTY"
An Orlando businessman who sent an email telling his employees their jobs could be in jeopardy if President Barack Obama is re-elected told WESH 2 he is not a bully. The head of a local real estate and timeshare company sent an e-mail to employees Monday warning them of what might happen to the company if President Barack Obama was elected to a second term. 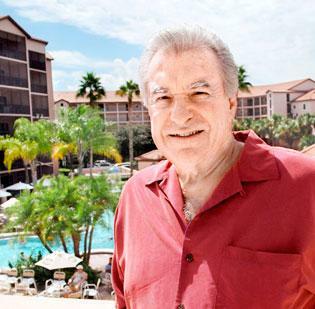 David Siegel is the founder and president of Westgate Resorts, which employs 6,500 people. Siegel recently sent a letter about the upcoming presidential election to those employees, and it was anonymously forwarded to WESH 2. "Am I trying to influence people as to how they vote? Absolutely, by giving them the facts," Siegel told WESH 2. "I wanted them to hear from me about how this election could affect their livelihoods." The text of Siegel's letter is similar to a chain e-mail that has circulated for years on the Internet -- some of the text was unchanged from the chain e-mail -- but Siegel confirmed to WESH 2 that he did send it. In the e-mail, Siegel says the tax burden imposed by the government is making it harder to run a business. "The economy doesn't currently pose a threat to your job. What does threaten your job however, is another 4 years of the same Presidential administration. Of course, as your employer, I can't tell you whom to vote for, and I certainly wouldn't interfere with your right to vote for whomever you choose," the letter reads. Siegel said he stands by the e-mail and said he isn't bullying anyone. "How can I be bullying? I don't know how they're going to vote," he said. In his e-mail, Siegel said the administration and the media have cast employers against employees. "They want you to believe that we live in a class system where the rich get richer, the poor get poorer. They label us the '1%' and imply that we are somehow immune to the challenges that face our country," he said. Siegel goes on to explain how if new taxes are imposed on the company, he will have to cut down in size. "My motivation to work and to provide jobs will be destroyed, and with it, so will your opportunities. If that happens, you can find me in the Caribbean sitting on the beach, under a palm tree, retired, and with no employees to worry about. Signed, your boss." In the email, Siegel never directly tells employees how they should vote. Siegel said many of his employees appreciated the e-mail. The department of state said it has no legal or ethical issues with the e-mail. "An employer can voice his opinion as long as he isn't intimidating them to vote for a particular candidate," the department said in a statement. As most of you know our company, Westgate Resorts, has continued to succeed in spite of a very dismal economy. There is no question that the economy has changed for the worse and we have not seen any improvement over the past four years. In spite of all of the challenges we have faced, the good news is this: The economy doesn't currently pose a threat to your job. What does threaten your job however, is another 4 years of the same Presidential administration. Of course, as your employer, I can't tell you whom to vote for, and I certainly wouldn't interfere with your right to vote for whomever you choose. In fact, I encourage you to vote for whomever you think will serve your interests the best. However, let me share a few facts that might help you decide what is in your best interest.The current administration and members of the press have perpetuated an environment that casts employers against employees. They want you to believe that we live in a class system where the rich get richer, the poor get poorer. They label us the "1%" and imply that we are somehow immune to the challenges that face our country. This could not be further from the truth. Sure, you may have heard about the big home that I'm building. I'm sure many people think that I live a privileged life. However, what you don't see or hear is the true story behind any success that I have achieved. I started this company over 42 years ago. At that time, I lived in a very modest home. I converted my garage into an office so I could put forth 100% effort into building a company, which by the way, would eventually employ you. We didn't eat in fancy restaurants or take expensive vacations because every dollar I made went back into this company. I drove an old used car, and often times, I stayed home on weekends, while my friends went out drinking and partying. In fact, I was married to my business -- hard work, discipline, and sacrifice. Meanwhile, many of my friends got regular jobs. They worked 40 hours a week and made a nice income, and they spent every dime they earned. They drove flashy cars and lived in expensive homes and wore fancy designer clothes. My friends refinanced their mortgages and lived a life of luxury. I, however, did not. I put my time, my money, and my life into this business ---with a vision that eventually, some day, I too, will be able to afford to buy whatever I wanted. Even to this day, every dime I earn goes back into this company. Over the past four years I have had to stop building my dream house, cut back on all of my expenses, and take my kids out of private schools simply to keep this company strong and to keep you employed. Just think about this - most of you arrive at work in the morning and leave that afternoon and the rest of your time is yours to do as you please. But not me- there is no "off" button for me. When you leave the office, you are done and you have a weekend all to yourself. I unfortunately do not have that freedom. I eat, live, and breathe this company every minute of the day, every day of the week. There is no rest. There is no weekend. There is no happy hour. I know many of you work hard and do a great job, but I'm the one who has to sign every check, pay every expense, and make sure that this company continues to succeed. Unfortunately, what most people see is the nice house and the lavish lifestyle. What the press certainly does not want you to see, is the true story of the hard work and sacrifices I've made. Now, the economy is falling apart and people like me who made all the right decisions and invested in themselves are being forced to bail out all the people who didn't. The people that overspent their paychecks suddenly feel entitled to the same luxuries that I earned and sacrificed 42 years of my life for. Yes, business ownership has its benefits, but the price I've paid is steep and not without wounds. Unfortunately, the costs of running a business have gotten out of control, and let me tell you why: We are being taxed to death and the government thinks we don't pay enough. We pay state taxes, federal taxes, property taxes, sales and use taxes, payroll taxes, workers compensation taxes and unemployment taxes. I even have to hire an entire department to manage all these taxes. The question I have is this: Who is really stimulating the economy? Is it the Government that wants to take money from those who have earned it and give it to those who have not, or is it people like me who built a company out of his garage and directly employs over 7000 people and hosts over 3 million people per year with a great vacation? Obviously, our present government believes that taking my money is the right economic stimulus for this country. The fact is, if I deducted 50% of your paycheck you'd quit and you wouldn't work here. I mean, why should you? Who wants to get rewarded only 50% of their hard work? Well, that's what happens to me. Here is what most people don't understand and the press and our Government has chosen to ignore - to stimulate the economy you need to stimulate what runs the economy. Instead of raising my taxes and depositing that money into the Washington black-hole, let me spend it on growing the company, hire more employees, and generate substantial economic growth. My employees will enjoy the wealth of that tax cut in the form of promotions and better salaries. But that is not what our current Government wants you to believe. They want you to believe that it somehow makes sense to take more from those who create wealth and give it to those who do not, and somehow our economy will improve. They don't want you to know that the "1%", as they like to label us, pay more than 31% of all the taxes in this country. Thomas Jefferson, the author of our great Constitution, once said, "democracy" will cease to exist when you take away from those who are willing to work and give to those who would not." Business is at the heart of America and always has been. To restart it, you must stimulate business, not kill it. However, the power brokers in Washington believe redistributing wealth is the essential driver of the American economic engine. Nothing could be further from the truth and this is the type of change they want. So where am I going with all this? It's quite simple. If any new taxes are levied on me, or my company, as our current President plans, I will have no choice but to reduce the size of this company. Rather than grow this company I will be forced to cut back. This means fewer jobs, less benefits and certainly less opportunity for everyone. 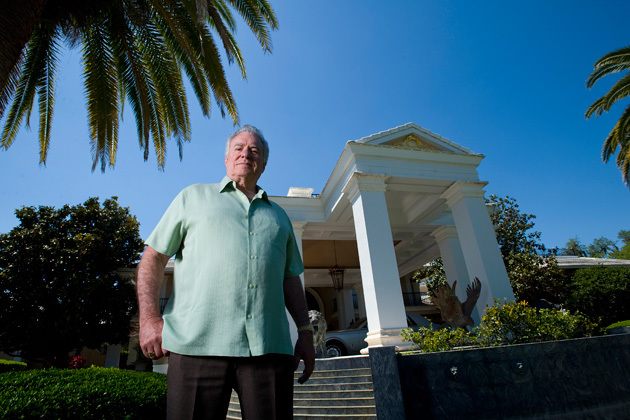 David Siegel, the timeshare mogul whose attempt to build the biggest house in America is chronicled in "The Queen of Versailles," is hitting back at the makers of the documentary, claiming that they misrepresented the financial health of his company. In promotional materials, the documentary is described as a "rags-to-riches-to rags story," that tells how Siegel and his wife, Jackie, are burned by the economic collapse of 2008, forcing them to abandon their dreams of constructing an ornate 90,000-square-foot Florida mansion. 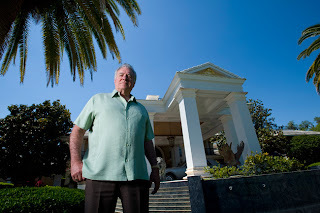 The mansion is still under construction, but Siegel says that his company has recovered from the credit crunch. 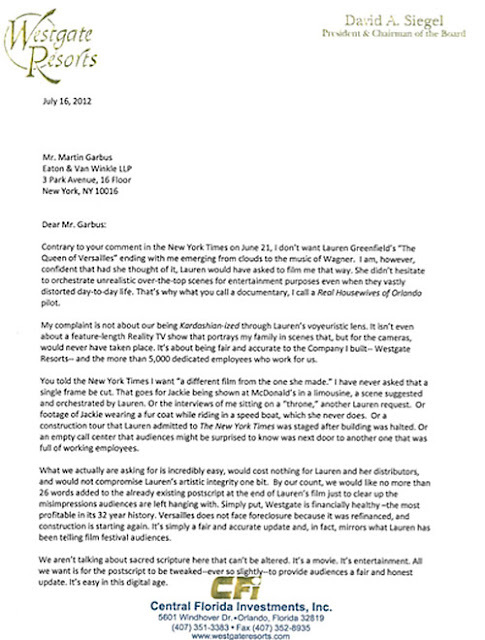 In a letter sent Monday to Martin Garbus, an attorney for director Lauren Greenfield, Siegel argues that not only is his company Westgate Resorts doing well, it's the most profitable it has been in its 32-year history. The real estate tycoon is asking the filmmakers to clear up any misconceptions with 26 words added to the film's existing post-script. "It's about being fair and accurate to the Company I built -- Westgate Resorts -- and the more than 5,000 dedicated employees who work for us," Siegel writes. "The Queen of Versailles" is set to premiere in limited release on July 20. Likening the current ending, which gives the impression that Westgate is in dire straits, to "ending an account of a basketball game after the third quarter," he adds, "What we are actually asking for is incredibly easy, would cost nothing for Lauren and her distributors, and would not compromise Lauren's artistic integrity one bit." The note was also sent to Mark Cuban and Todd Wagner, the owners of the film's distributor Magnolia Pictures, and company president Eamonn Bowles. Because the film's TV rights were acquired by Bravo, Siegel copied Bravo President Frances Berwick and NBC Universal CEO Steve Burke, the head of the network's parent company. The film and its depiction of the Siegels as conspicuous consumers is currently the subject of a legal fight. Siegel has sued Greenfield, executive producer Frank Evers, Bravo and Magnolia in U.S. District Court in Florida,alleging defamation for claiming that his company did not pay its bills. Attorneys for the defendants have filed a motion to stay the legal action, arguing that Siegel signed release forms that require that any disputes undergo arbitration. As in his suit, Siegel's letter contains accusations that many of the film's most outrageous scenes -- such as those depicting Jackie Siegel riding a speedboat in a fur coat or going to McDonald's in a limo -- were staged. "[Greenfield] didn't hesitate to orchestrate unrealistic over-the-top scenes for entertainment purposes even when they vastly distorted day-to-day life," Siegel writes. "That's why what you call a documentary, I call a Real Housewives of Orlando pilot." Siegel also says that Greenfield is incorrect in stating that the mansion is in foreclosure and essentially abandoned, as the couple was able to refinance and has started construction again. In a statement to TheWrap, Garbus said that the film will not be changed and does not distort the truth. David Siegel looks to add the distributors of the Sundance documentary about him to the defamation lawsuit filed in January. For those who questioned the legs of real estate mogul David Siegel's lawsuit against producers of The Queen of Versailles, not only is the litigation still ticking but Siegel is now looking to sue Magnolia Pictures and the Bravo cable network for defamation for their role in promoting the critically acclaimed documentary. As The Hollywood Reporter first reported, Siegel sued director Lauren Greenfield, executive producer Frank Evers and the Sundance Institute on the eve of this year's festival, alleging that a film that purportedly told a "rags-to-riches-to-rags story" hurt his reputation. The film follows Siegel and his wife, who commissioned a $75 million Florida mansion before getting caught up in the housing crash. The lawsuit didn't seem long for this world upon word that Siegel used very similar language in the film to describe his plight. "This is the reverse of a rags-to-riches story," he said. "This is a kind of riches-to-rags story." And indications at the Sundance premiere, attended by Siegel's wife, were that the Siegels hadn't even seen the film before filing a lawsuit. Film rights to the hit doc were snapped up by Magnolia, and TV rights were acquired by Bravo, but Siegel hasn't dropped his lawsuit. Far from it. Last month, Siegel sought to amend his suit for a second time. Siegel begins as he did originally by noting that during the four-year filming process, he provided Greenfield and her crew hospitality at his resorts. Although he has dropped Sundance as a defendant, he's still objecting to the way that the festival's press release touted the film with allegedly false and defamatory statements including that "their timeshare empire collapses," "their house is foreclosed" and this is a "rags-to-riches-to rags story." After seeing Queen of Versailles, Siegel also is alleging that the film is "defamatory, derogatory and damaging" in the way it gives the impression that his company Westgate does not pay its bills, the way it connects the layoff of his company's workforce to contractors' claims and the way it portrays him as "essentially broke and out of business, on the verge of bankruptcy." But the biggest new facet of Siegel's lawsuit is his attempt to drag the distributors into defamation claims. "At the time that Magnolia and Bravo entered into such agreements [to acquire rights], they knew or had reason to know that the film falsely depicts Westgate's financial status," says the proposed amended complaint. Siegel is now pointing to the way Magnolia and Bravo have published a trailer for the film on YouTube, made comments about the movie on Facebook and sent out various press releases. In addition, Siegel says that "discovery will reveal further defamatory conduct by Magnolia and Bravo by virtue of their publicizing, and preparation for distribution, of the film." The defendants are attempting to foreclose any possibility that the lawsuit gets there. In opposition papers filed last week, Greenfield points to release forms signed by Siegel that purportedly require the dispute to go to arbitration. She says the claims are "futile" and that "this is just a hopeless case" because of the waiver, which not only has an arbitration clause but also "releases and discharges" the filmmakers from claims of "libel, defamation, invasion of privacy or rights of publicity." Siegel is attempting to bypass such roadblocks by dropping himself as a named plaintiff in favor of his company, Westgate. But the defendants say this is "done in name only -- Siegel is still the primary instigator of this action." Lauren Greenfield's documentary follows a billionaire couple dealing with the harsh realities of the economic crisis. PARK CITY — A particularly lurid look at pathological excess, Lauren Greenfield's The Queen of Versailles will prompt loathing not only among the so-called 99 Percent, but among those in the top 1 percent who would like someone more sane to represent them on camera. Timely but too closely related to much of today's reality-TV fare, the doc will play best on the small screen. When George W. Bush joked that his people were "the haves -- and the have-mores," the latter label applied to David Siegel, a Florida time-share mogul who brags of his (illegal, he hints) string-pulling in the 2000 election, "I personally got him elected." We meet Siegel and wife Jackie -- an aging trophy wife with outrageous breasts and a weak spot for garish fashions -- as they sit for a photo portrait by Greenfield, Jackie on David's lap in a gilded, cherub-adorned throne. Quickly, the conversation turns to "Versailles," a mansion the pair are building because, as Jackie says, "he deserves it": At 90,000 square feet, it will be America's largest single residence, boasting ten kitchens, a private ice-skating rink, and enough tacky antiques to make Michael Jackson blush. It's telling that while the couple's dream house was inspired by the famed palace, it was most directly modeled on a Las Vegas theme-park imitation of French grandeur. Then the 2008 crash comes, the time-share industry takes a dive, and things get tough for the Siegels. The outlook is so bad, in fact, that Jackie tells her eight pampered kids they might actually have to go to college to earn a living. (Somewhere in the darkness, a horde of student-loan-beset youths is gathering pitchforks and lighting torches.) As things get worse, the cluttered, dog-poop-riddled mansion threatens to become a Floridian Grey Gardens while Jackie refuses to stop shopping. To a certain extent, Greenfield gives her subjects enough rope to hang themselves as they moan over their diminished economic clout: David paints a picture of callous bankers who, having made him addicted to cheap credit, are now yanking the rug out; Jackie whines that she thought the federal bank bailout was supposed to eventually benefit "the common people ... us." The lack of self-awareness is staggering. But it's also clear that on some level Greenfield likes these boors -- that she gives them more credit than they deserve for small virtues, and bizarrely views their hyperbolic selfishness as a crystallization of the American Dream. The film offers a rare look at extreme wealth and its fragility (fragility, at least, for those who save nothing for the future), and it contains a few moments of affecting pathos -- particularly those involving the couple's domestic employees and the adult son David has from a previous marriage. But its cloudy perspective and unlikeable (if always watchable) subjects keep it from making any convincing argument about wealth and the ambitions behind it. David Siegel, the founder and chief executive of Westgate Resorts, the largest privately owned time-share company in the world, isn’t one to hide in the shadows. With his wife, Jackie, he’s building the biggest home in the U.S., a 90,000-square-foot Florida edifice they call Versailles. Their recent financial problems, and so much more, have been very publicly chronicled in the documentary The Queen of Versailles, as well as in a story I wrote inBloomberg Businessweek in March. Siegel made news again this week when he sent a lengthy memo to his 7,000 employees telling them that if President Obama wins reelection, no one at Westgate should be celebrating. As Gawker first reported, Siegel said he would have to lay off people and let the business shrink. Why did you send the note to your employees? I wanted to let my employees know what will come if they make the wrong choice. They need to worry if Obama gets reelected. The company is doing the best we’ve done in our history. We’re making lots of money, but we’re not growing. If there’s Obamacare and higher taxes, how are we as a country going to sustain that? With those burdens, the economy will go into a tailspin. I’m going to seriously think about retiring. I’m 77. I could take my money out of the company and live happily ever after. Why did you send the note now? Early voting is beginning, and I wanted people to be informed. The campaign commercials don’t tell you anything. I wanted my employees to know what the future holds if the wrong person is elected. If Romney is elected, it will be like a shot of adrenaline. We’ll start planning for a great future. If Obama gets reelected, people are still going to be melancholy. What response have you received? It’s been overwhelmingly positive from my employees and from business people around the country. Lots of small business men have been contacting me to say they wish they had the nerve to say what I said. If only businessmen voted in the election, Romney would win 99 to 1. The United States is like a big company, and we need a CEO to run it. We businessmen are so tired of being vilified when we create all the jobs and pay most of the taxes. Thank God I come to work everyday and employ 7,000 people. Not all your employees support you, though, since someone sent your note to Gawker. I’m sure there’s quite a few employees who might take offense. But I’ve always looked out for their best interests. We’re like a family. They’re like my children, and I’m the Jewish mother telling them to eat their spinach and vote for Romney. I’m not trying to intimidate anyone. First, I couldn’t do it if I wanted to. I won’t know who they vote for. If an employee comes to me afterward and says they voted for Obama, I’m going to say, “Wonderful.” I’m not going to ostracize them. I don’t think anybody should take this as a threat. I don’t want to lay off people. I had to do that during the recession, and it was the worst experience of my life. What else are you going to do to support Romney? I might send out some news articles about the candidates. I’m not going to do an organized campaign like I did last time. Maybe I don’t have the energy. It was probably wrong last time. I feel responsible for getting Bush elected and then look what happened: the Iraq war, the Afghanistan war. Maybe I shouldn’t tinker with history. Maybe I’m responsible for changing the course of history, for getting Obama elected, for the last four years. You really won’t do anything like you did in 2000? If I wake up tomorrow morning with an idea, then maybe I’ll do something. But I don’t have any plans to create any more firestorms. But I might. We still have 30 more days. You said if Obama wins, you could retire and live happily ever after. Would you live happily ever after in Versailles? I hope I’ll live happily ever after in Versailles. But that’s the least of my problems right now. Berfield is an associate editor for Bloomberg Businessweek . The man above is David Siegel, owner of Westgate Resorts, allegedly the largest time-share company in the world, with his wife Jackie. After a financial setback during the recession, Siegel now brags that “we’re the most profitable we’ve ever been.” He and Jackie have resumed construction on a 90,000-square-foot home, called Versailles, that they are building in Florida. If and when it is completed, it will be the largest private home in the country. The email does raise an interesting question or two, such as, if it’s true that “even to this day, every dime I earn goes back into this company,” where did all the money for that house come from? And if he made all the right decisions, why did he come so close to bankruptcy? Why does he blame government for the fact that he had to pull his eight kids out of private school? If he couldn’t support a family that large, why did he keep having children? Under ordinary circumstances, I also wouldn’t think it necessary to pity poor Mr. Siegel. After all, he would seem to have more than enough pity for himself to fill all three swimming pools at Versailles, allowing him to wallow in that emotion to his heart’s content. But clearly, this is a man completely unfamiliar with the concept of “more than enough.” Judging from his email, the poor unappreciated soul wants and needs more pity still; he is a victim, you see, treated shabbily and unfairly, and he’s not going to take any more of it, by golly. Attention, attention must finally be paid to such a person. Following is the unofficial transcript of a CNBC EXCLUSIVE interview with David Siegel, Westgate Resorts CEO, today on CNBC’s “Closing Bell with Maria Bartiromo.” Following is a link to the video of the interview on CNBC.com: http://video.cnbc.com/gallery/?video=3000121675&play=1. ROBERT FRANK: WELL THIS IS THE EMAIL THAT HAS JUST EXPLODED ON THE INTERNET TODAY. ITS WRITTEN BY DAVID SIEGEL THE CEO OF WESTGATE RESORTS. HE SENT AN EMAIL TO EMPLOYEES SAYING THAT IF OBAMA WINS THEY COULD ALL LOSE THEIR JOBS. THE EMAIL SAID “IF ANY NEW TAXES ARE LEVIED ON ME, OR MY COMPANY, AS OUR CURRENT PRESIDENT PLANS, I WILL HAVE NO CHOICE BUT TO REDUCE THE SIZE OF THIS COMPANY.” HE MIGHT EVEN SHUT IT DOWN IF OBAMA WINS HE SAYS “YOU CAN FIND ME IN THE CARIBBEAN SITTING ON THE BEACH…WITH NO EMPLOYEES TO WORRY ABOUT.” NOW WHAT MAKES THIS EMAIL SO PROVOCATIVE IS THAT ITS AUTHOR DAVID SIEGEL HE IS THE MAN BEST KNOWN FOR BUILDING THE LARGEST HOME IN AMERICA. HE AND HIS WIFE JACKIE BUILT VERSAILLES A 90,000 SQUARE FOOT PALACE JUST OUTSIDE ORLANDO. IN A PHONE INTERVIEW LAST NIGHT DAVID TOLD ME THIS IS NOT ABOUT HIS OWN FORTUNES. HE HAS “ENOUGH MONEY TO LAST THE REST OF MY LIFE AND FOR MY CHILDREN.” HE SAID IT'S ABOUT HIS WORKERS. THEY WOULD BE THE BIG LOSERS IF OBAMA GETS ANOTHER FOUR YEARS. HE TOLD ME HE WASN'T THREATENING HIS WORKERS OR EVEN TELLING THEM HOW TO VOTE, JUST TO EDUCATE THEM BEFORE THEY PULL THAT LEVER IN 27 DAYS. BILL. CARUSO-CABRERA: DON'T MOVE, ROBERT. WE'RE GOING TO BRING IN THE CEO WHO ACTUALLY WROTE THE LETTER. 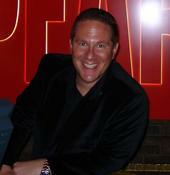 WESTGATE RESORTS DAVID SIEGEL JOINS US NOW ON THE PHONE. ALSO JOINING US IS CARLY FIORINA, WHO SAT AT THE TOP OF ONE OF THE MOST RECOGNIZED COMPANIES IN CORPORATE AMERICA HEWLETT-PACKARD. WE'RE GOING TO GET HER REACTION IN A MINUTE. FIRST TO YOU, MR. SIEGEL. WHAT HAS BEEN THE REACTION INSIDE YOUR COMPANY FROM YOUR EMPLOYEES? DAVID SIEGEL: MOSTLY POSITIVE. MAYBE THE PEOPLE THAT ARE NEGATIVE HAVEN'T REACTED, BUT THE REACTION THAT I'VE GOTTEN SO FAR HAS BEEN VERY POSITIVE. I WAS COMING TO WORK TODAY AND ACTUALLY HAD AN EMPLOYEE STOP IN THE PARKING LOT, GET OUT OF THEIR CAR, AND COME OVER AND SAY WE'RE BEHIND YOU AND BELIEVE IN WHAT YOU'RE DOING. SO NOT ONLY IS THE REACTION FROM MY EMPLOYEES, BUT I'VE GOTTEN HUNDREDS OF E-MAILS, 90% POSITIVE. I'VE HAD PHONE CALLS FROM AROUND THE COUNTRY, PEOPLE ALL VERY POSITIVE. IT WASN'T MY INTENTION WHEN I SENT THE PRIVATE MEMO TO MY EMPLOYEES FOR IT TO GET OUTSIDE OF THE COMPANY, BUT SOMEONE APPARENTLY SENT IT TO THE MEDIA. NEXT THING I KNOW IT'S GONE VIRAL. GRIFFETH: SO MAYBE SOMEBODY'S GOING TO LOSE THEIR JOB ANYWAY. ANYWAY, BEARING IN MIND, MR. SIEGEL, THAT IT IS CONGRESS THAT SETS TAX POLICY IN THIS COUNTRY, DO YOU REALLY EXPECT TAX STRUCTURE IN THIS COUNTRY CHANGE SHOULD GOVERNOR ROMNEY WIN THE ELECTION? SIEGEL: I'M ONLY LISTENING TO WHAT PRESIDENT OBAMA IS SAYING, AND THAT IS RAISE THE TAXES ON THE WEALTHY. THAT'S ME AND THE OTHER SMALL BUSINESS OWNERS AROUND THE COUNTRY. SIEGEL: YOU'RE TAKING THINGS OUT OF CONTEXT. SIEGEL: YOU KNOW, THIS IS NOT SPECULATION. I HAVE LIVED THE LAST FOUR YEARS UNDER THE OBAMA ADMINISTRATION, AND I'VE WATCHED MY COMPANY BE CUT IN HALF. TODAY WE'RE VERY PROFITABLE, AND I DON'T WANT TO GO THROUGH ANOTHER FOUR YEARS UNDER THE OBAMA ADMINISTRATION WHERE I HAVE TO DOWNSIZE AGAIN. GRIFFETH: YOU CUT THE COMPANY IN HALF AS A RESULT OF TAX POLICY? IS THAT WHAT HAPPENED? SIEGEL: NO, IT HAD NOTHING TO DO WITH TAX POLICY. IT HAD TO DO WITH THE TIGHTENING OF THE BANKS. TIGHTENING OF MONEY. WHEN THEY GAVE T.A.R.P. MONEY TO THE BANKS, THEY SHOULD HAVE TOLD THEM TO LOAN IT OUT. INSTEAD, THE BANKS KEPT THE MONEY, BOUGHT BACK THEIR OWN BONDS AND THEIR OWN STOCK. THEY MADE THEIR OWN BALANCE SHEETS VERY GOOD. THEY DIDN'T SPREAD THE MONEY AROUND TO BUSINESSES THAT WERE STARVING FOR FINANCING. AS A RESULT, WE HAD TO CUT OUR COMPANY IN HALF. WE HAD TO LAY OFF 7,000 EMPLOYEES AND BE VERY LEAN AND MEAN TO SURVIVE. WELL, IT WAS A VERY UNPLEASANT EXPERIENCE, AND I DON'T FEEL LIKE GOING THROUGH IT AGAIN, BUT THIS WAS BEFORE OBAMACARE, BEFORE INCREASING MY TAXES. I CAN SEE THE FUTURE. CARUSO-CABRERA: IT SOUNDS LIKE YOU'RE DEALING WITH THE RESULTS OF A COUNTRY THAT WAS OVERLEVERAGED. THERE'S A LOT OF THINGS TO CRITICIZE PRESIDENT OBAMA FOR. I THINK A LOT OF PEOPLE WOULD AGREE. BUT IN THE END, LEVERAGE WAS DRAMATICALLY HIGH. IT WAS GOING TO COME DOWN. YOU REALLY BLAME HIM FOR THE FACT THAT LEVERAGE HAD TO CONTRACT IN THIS COUNTRY FROM ASTRONOMICAL LEVELS? SIEGEL: NO, WHAT I'M BLAMING HIM FOR IS NOT DOING SOMETHING ABOUT THE ECONOMY IN THE LAST FOUR YEARS, AND I FEEL THAT WE'RE ON A DOWNWARD SPIRAL AND THE NEXT FOUR YEARS UNDER THE SAME DO-NOTHING ADMINISTRATION IS GOING TO BE EVEN WORSE. I'M JUST INFORMING MY EMPLOYEES THAT AN OBAMA ADMINISTRATION -- THERE'S A GOOD POSSIBILITY WE'LL HAVE TO DOWNSIZE AGAIN AND THAT THEIR FUTURES MIGHT BE JEOPARDIZE. GRIFFETH: OKAY. ROBERT, YOU GOT A QUESTION? FRANK: ONE OF THE REASONS THIS E-MAIL HAS HIT SUCH A NERVE IS BECAUSE PEOPLE KNOW YOU AS THE GUY WHO BUILT THE LARGEST HOME IN AMERICA. YOU KNOW, THEY KNOW YOU FOR BETTER OR FOR WORSE AS THE GUY WITH ONE OF THE BIGGEST LIFESTYLES THAT'S BEEN ON THE BIG SCREEN RECENTLY. THEY HAVE A HARD TIME UNDERSTANDING HOW YOU COULD COMPLAIN ABOUT YOUR SITUATION, YOUR COMPANY'S SITUATION, OR THE EFFECT ON YOUR EMPLOYEES WHEN YOU'RE DOING QUITE WELL RIGHT NOW. YOU MENTIONED YOUR COMPANY'S VERY PROFITABLE. YOU'VE PAID OFF ALL YOUR BIG DEBTS. HOW DO YOU ANSWER THOSE FOLKS WHO RAISE THAT QUESTION? SIEGEL: I AM NOT WORRYING ABOUT MYSELF. I'M WORRYING ABOUT MY EMPLOYEES AND THEIR FUTURE. WHEN THE COMPANY WAS IN NEED OF MONEY, I STOPPED CONSTRUCTION ON THE HOUSE. I PUT ALL THE MONEY INTO THE COMPANY. I WORK 24/7 RUNNING THIS COMPANY, AND THE LAST FOUR YEARS HAVE NOT BEEN VERY PLEASANT. IF I HAVE ANOTHER FOUR YEARS LIKE THE LAST ONE, I WILL SERIOUSLY THINK ABOUT RETIRING, AND THAT WOULD FURTHER DOWNSIZE THE COMPANY. GRIFFETH: CARLY, WHAT DO YOU THINK OF THIS SITUATION? LAST TIME YOU AND I SPOKE ON THIS PROGRAM, YOU DID ADMIT THERE ARE A LOT OF THINGS TO WORRY AS ABOUT A CEO OF A COMPANY. THE FISCAL CLIFF JUST BEING ONE OF THEM. GLOBAL SLOWDOWN AS WELL. IN THIS CASE, THOUGH, BY SENDING AN E-MAIL LIKE THIS TO EMPLOYEES, IN YOUR VIEW, IS THIS FEAR MONGERING ON THE PART OF A CEO, OR IS IT A REALISTIC ATTEMPT TO JUST SET THEM UP TO UNDERSTAND WHAT COULD COME DEPENDING ON THE OUTCOME OF THE ELECTION? FIORINA: FIRST OF ALL, LET'S REMEMBER THAT MR. SIEGEL IS THE FOUNDER OF THIS COMPANY. IT IS HE WHO TOOK THE RISK TO FORM THIS COMPANY. IT IS HE WHO HAS TAKEN THE RISKS TO KEEP THIS PRIVATE COMPANY GOING. SO I THINK HE IS IN A VERY DIFFERENT POSITION THAN I WAS, FOR EXAMPLE, AS A HIRED HAND, IF YOU WILL, OF A PUBLIC COMPANY. SECONDLY, I THINK WE CAN QUARREL WITH HIS USE OF WORDS, PERHAPS, BUT MY GUESS IS HIS EMPLOYEES KNOW HIM PRETTY WELL. HE OBVIOUSLY HAS EVERY RIGHT TO EXPRESS HIS OPINION. THIRD, I THINK HE'S RAISING A SERIOUS POINT. YOU KNOW, HE MAY HAVE DONE IT IN A MORE COLORFUL WAY, BUT THERE IS A REASON THAT THE NATIONAL FEDERATION OF INDEPENDENT BUSINESSES SAYS THAT SMALL BUSINESS OWNERS' CONFIDENCE CONTINUES TO DETERIORATE. THAT'S BECAUSE SMALL BUSINESS OWNERS LOOK TO THE FUTURE AND SAY, I DON'T KNOW HOW I'M GOING TO CONTINUE TO MANAGE SUCCESSFULLY IF I HAVE TO DEAL WITH MORE TAXES AND MORE REGULATION AND POTENTIALLY CONTINUED TIGHTENING OF MONEY. I THINK HE'S RAISING GOOD ISSUES. NOW, YOU KNOW, THE LAST THING I GUESS I WOULD SAY IS I'M REALLY TROUBLED WHEN WE CONFLATE THE SIZE OF SOMEONE'S HOUSE IS WITH THEIR ABILITY TO EXPRESS THEIR OPINION. I THINK THE SIZE OF HIS HOUSE HAS NOTHING TO DO WITH THIS. WHETHER WE LIKE ALL HIS WORDS OR NOT, HE EXPRESSED A POINT OF VIEW TO HIS EMPLOYEES. CARUSO-CABRERA: WE SHOULD POINT OUT, CARLY, YOU ARE A ROMNEY SUPPORTER. WHAT ABOUT THE FACT THAT THE SPIRIT OF HIS COMPLAINT IS ACTUALLY ABOUT HIS INABILITY TO ACCESS CREDIT? DO YOU THINK A FUTURE PRESIDENT ROMNEY COULD SOMEHOW MAGICALLY CHANGE A DELEVERAGING SOCIETY? FIORINA: WELL, LOOK, I PUBLICLY, ON YOUR NETWORK AND OTHERS, SAID WHEN T.A.R.P. WAS OFFICIALLY PUT FORWARD BY THE BUSH ADMINISTRATION, TO YOUR POINT, AND HANK PAULSON THAT T.A.R.P. WAS FUNDAMENTALLY FLAWED BECAUSE IT DIDN'T FORCE THE BANKS TO ACTUALLY LEND MONEY. WHAT IT DID WAS ENCOURAGE BANKS TO USE THAT MONEY TO STRENGTHEN THEIR OWN BALANCE SHEETS. I TOTALLY ACCEPT YOUR POINT THAT THE TIGHTENING OF CREDIT, PARTICULARLY TO SMALL AND MEDIUM-SIZE BUSINESSES, IS PART OF THE FAILURE OF T.A.R.P. AND THAT'S A BIPARTISAN AFFLICTION, IF YOU WILL. IT'S NOT SIMPLY THE OBAMA ADMINISTRATION. NEVERTHELESS, I THINK IT'S UNDENIABLE THAT THE OBAMA ADMINISTRATION HAS BEEN CRYSTAL CLEAR THAT THEY PLAN TO RAISE TAXES ON THE WEALTHY, THAT THEY PLAN TO RAISE TAXES THEREFORE ON A LOT OF SMALL BUSINESS OWNERS, AND THAT THEY PLAN TO CONTINUE TO INCREASE THE AMOUNT OF REGULATION OUT THERE. THOSE ARE JUST FACTS. THOSE FACTS HURT SMALL BUSINESSES. GRIFFETH: MR. SIEGEL, NOW THAT WE'VE HAD THIS VERY PUBLIC DISCUSSION AND THE WORLD KNOWS WHAT YOU WROTE IN THAT E-MAIL, DO YOU REGRET WRITING IT AT ALL? SIEGEL: NO, I WANTED TO INFORM MY EMPLOYEES OF WHAT THEIR FUTURE WOULD HOLD IF THEY MAKE THE WRONG DECISION WHEN THEY VOTE. I WASN'T THREATENING ANY OF THE EMPLOYEES. IF THEY VOTE FOR OBAMA, THEY'RE NOT GOING TO LOSE THEIR JOB, BUT THEY HAVE THE POTENTIAL IN THE FUTURE IF THIS ECONOMY CONTINUES TO SPIRAL DOWNWARD IN TAXES AND OBAMACARE COMING INTO EFFECT. THEY DO HAVE THE POSSIBILITY THAT THE COMPANY WILL BE FURTHER DOWNSIZED. EVERY COMPANY WANTS TO GROW, WANTS TO INCREASE THE BENEFITS THEY GIVE THEIR EMPLOYEES, WANT TO HIRE MORE PEOPLE. I SEE THE FUTURE EXACTLY THE OPPOSITE OF THAT IF WE DON'T CHANGE ADMINISTRATION. GRIFFETH: MR. SIEGEL, APPRECIATE YOUR TIME. THANKS FOR JOINING US TODAY. APPRECIATE IT. Timeshare mogul David Siegel, who was briefly a billionaire in 2007, has come out swinging against President Obama. In a letter to his employees this week, signed “your boss,” Siegel outlined all the reasons why employees shouldn’t vote for Obama; included was a threat that he might retire to the Caribbean and get out of business altogether if Obama is re-elected. 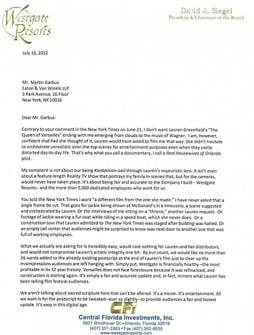 I actually got the idea for (the letter to employees) from a letter that’s been circulating for years with a similar story, I used it as a guide. I wanted my employees to be informed as to what could happen if the current President is reelected. It’s not speculation, I have hindsight. I lived the last 4 years under the Obama administration and my company was cut in half. In 2008 I had 12,000 employees today we have 7,000, in 2008 I did $1billion in sales and today we are doing less than that. The good news is today we are the most profitable in our history. We went from fat, dumb and happy to lean and mean and all this happened without Obamacare and higher taxes, which will be a disaster for the next 4 years. I’m still having fun running my company, but if I’m forced to downsize even further I’ll think seriously about retiring and that could be unfortunate for my 7,000 employees. You can multiply my experience by millions of other small businesses and its not hard to predict what the future will hold if Obama is reelected. On the other hand, if Romney is elected businessmen like me would get a shot of adrenalin and will start hiring and growing the businesses and within a short period of time my company and this country will once again be prospering, at least I hope so. Siegel is using his own personal rags-to-riches story as a reason to support Romney. He depicts himself as an entrepreneur who has worked tirelessly to build his fortune, has invested every penny back into the business and is now being forced to bail out those who made poor decisions. Even to this day, every dime I earn goes back into this company. Over the past four years I have had to stop building my dream house, cut back on all of my expenses, and take my kids out of private schools simply to keep this company strong and to keep you employed. It’s a bit hard to reconcile all this with the fact that Siegel is also the man who tried to build his wife a modern day castle so opulent that it might have ended up as the biggest private home in America. It never did get completed and indeed, these days Siegel is likely best remembered for his starring role in the award-winning documentary, The Queen of Versailles, about him and his wife Jacqueline, a former Miss Florida three decades his junior, who hit rough times during the economic crisis and subsequent credit crunch. The couple eventually had to suspend building on their 90,000 sq. foot compound dubbed Versailles, which was expected to have, among many other features, 6 pools, 10 kitchens and 30 bathrooms. I met Siegel and visited the construction site of the massive house back in 2007, a year before the financial crisis hit. I had flown to Florida after his team had tried unsuccessfully to lobby for a spot on the Forbes 400, insisting his personal fortune was $1.8 billion. In my subsequent profile of him, I pegged it at $1 billion; it is now much lower. Back then, I was struck by his company’s use of leverage. As of 2006, it had $816 million worth of notes payable and lines of credit, more than its sales, and Siegel himself had lent the company more than $100 million out of his pocket. “It takes a lot of money to keep the business running,” Siegel told me, “You have to keep borrowing to keep growing.” The same could be said for his lower-to-middle class customers – he referred to them as the “Johnny Lunch-Bucket crowd,” who “shop at Wal-Mart” and otherwise would stay in a “Ramada Inn” – who were borrowing to buy up timeshares in places likeOrlando, Williamsburg, Va, and Gatlinburg, Tennessee. When banks started tightening their lending practices in the wake of the financial crisis, the buyers ran into financial problems and his business came to a halt. He had to lay off 7,000 of his 12,000 employees. I checked in with Siegel on the eve of last summer’s release of the Versailles documentary. At the time he insisted everything was going great, that the movie had blown everything out of proportion for entertainment value and that he expected to restart construction on his giant house soon. He even predicted he would one day be on the Forbes 400. Plus he made a point of telling me he’d been hiring and now had 6,000 employees, up from 5,000. In his letter to employees yesterday, he claimed to be up to 7,000. So he’s actually hired 2,000 in recent years, even with President Obama in office. Will he make good on his threat? We’ll check back in with him after the election. For more on Siegel and his outsized personality, read the original 2007 Forbes story. I started this company over 42 years ago. At that time, I lived in a very modest home. I converted my garage into an office so I could put forth 100% effort into building a company, which by the way, would eventually employ you. We didn’t eat in fancy restaurants or take expensive vacations because every dollar I made went back into this company. I drove an old used car, and often times, I stayed home on weekends, while my friends went out drinking and partying. In fact, I was married to my business — hard work, discipline, and sacrifice. Meanwhile, many of my friends got regular jobs. They worked 40 hours a week and made a nice income, and they spent every dime they earned. They drove flashy cars and lived in expensive homes and wore fancy designer clothes. My friends refinanced their mortgages and lived a life of luxury. I, however, did not. I put my time, my money, and my life into this business —with a vision that eventually, some day, I too, will be able to afford to buy whatever I wanted. Even to this day, every dime I earn goes back into this company. Over the past four years I have had to stop building my dream house, cut back on all of my expenses, and take my kids out of private schools simply to keep this company strong and to keep you employed. Get the F.B.I. - Latest Releases widget and many other great free widgets at Widgetbox! Get the Arrests Worldwide widget and many other great free widgets at Widgetbox! Get the Flickr Tag Slideshow widget and many other great free widgets at Widgetbox!